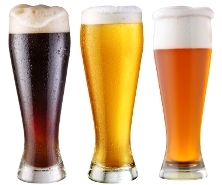 Learn how to make great beer at home. Enjoy fine, hand-crafted beer with your friends! Brewing is an enjoyable and easy to learn hobby. Get started home brewing today. 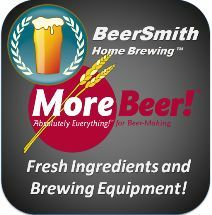 Create world class beers at home using BeerSmith home brewing software. Take a quick video tour here! or download a free trial version here for Mac or Windows! The book contains over 70 of my best articles from 2-1/2 years of the BeerSmith blog covering everything from how to brew your first batch to more advanced brewing techniques and popular beer styles. Its available from Amazon in printed form and also on the Kindle. Every other week, I interview top brewers from around the world on the BeerSmith Podcast. I’ve also published over 120 beer brewing articles on the BeerSmith blog – try the search function and you will find a detailed article on just about any topic! Join over 10,000 fellow brewers on our discussion forum and exchange recipes, ideas, tips and brewing knowledge with fellow brewers. BrewWiki is a beer brewing encyclopedia in wiki format (like Wikipedia) where you can read all about brewing, or contribute your own articles and links.